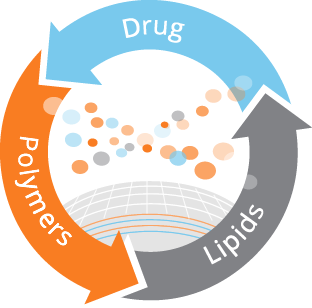 The PLEX™ (Polymer-Lipid Encapsulation matriX) platform is a matrix made of alternating layers of polymers and lipids that entrap a therapeutic drug between them in order to form a protected reservoir that enables an effective localized drug delivery at the target site. PLEX-based protected drug reservoirs enable prolonged delivery of sensitive drugs over periods ranging from days to several months. The application of our PLEX technology enables to optimize drug treatment regimens by predetermining release rates and durations, a rare combination of attributes. Our studies show that our products are highly effective despite the fact that we are using only a fraction of the drug dose required in systemic administration for similar periods. The use of low yet effective dose, minimizes potential side effects and lowers the cost of treatment significantly. Our localized medication solution is essential in many treatment regimens, such as the treatment of infections, inflammation and certain cancers. In addition, our local drug delivery technology overcomes systemic penetration challenges in various applications, such as bone and brain to name a couple. The advantages of our PLEX™ drug delivery system lie in its unique combined characteristics. Partnering with us will provide companies a targeted, local drug delivery vehicle that will optimize their drugs’ therapeutic payload and clinical outcome. Our internal pipeline includes PLEX-based products, which are designed to release antibiotics in a variety of medical conditions over extended periods of time. 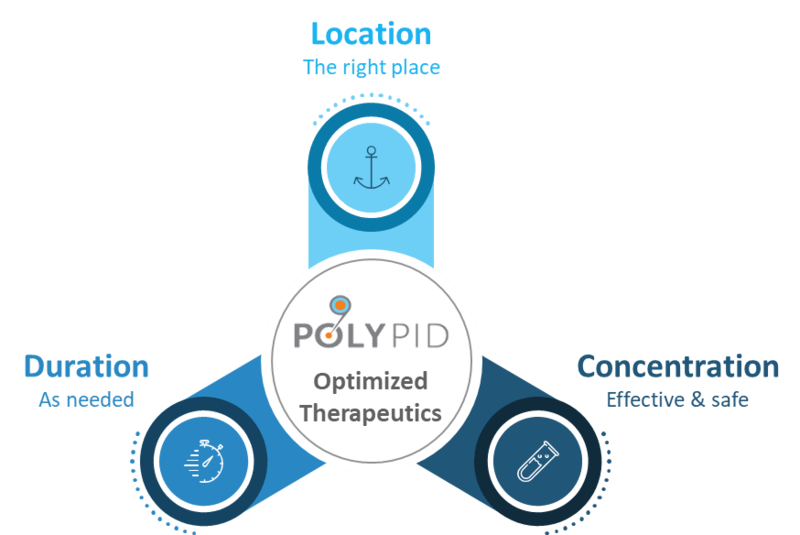 PolyPid’s PLEX™ targeted drug delivery platform enables a localized, controlled release and prolonged medication solutions for better patient outcome.